Today we will reveal an extremely effective homemade face mask, which will treat a number of cosmetic issues including redness, inflammation, acne, eczema, dark spots or under eye circles, unwanted facial hair, and wrinkles. 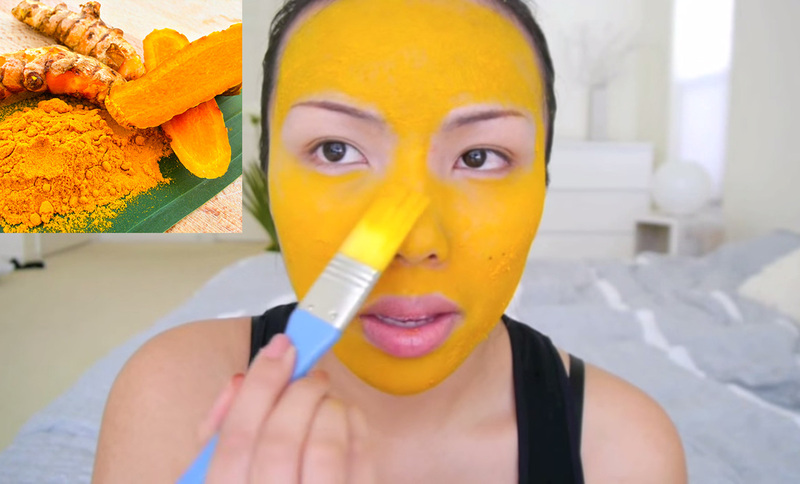 Best of all, this mask is all- natural and almost cost-free, as it only uses a few common and cheap ingredients, the most important of which is turmeric. This amazing mask not only lightens up your skin, but it also reduces pores, clears up acne and eczema, and relieves redness and inflammation. Moreover, it fades away the unattractive dark spots and under eye circles. Lit is also a powerful anti-aging agent, which effectively removes wrinkles, and leaves your skin soft and smooth. In addition, this mask will also reduce unwanted facial hair. Turmeric is an extremely powerful spice that originates in India, which accounts for most of the world’s supply. Turmeric has a deep yellow-orange color and distinct taste and is typically obtained in powder form. The process of production of turmeric includes picking, bubbling and drying of turmeric plant roots in extremely hot ovens, after which these are ground into fine powder. Turmeric is mostly used in cooking, but it is a strong coloring agent as well, and is commonly used for dyeing. Regarding this fact, you need to make sure you are wearing older clothes as staining is likely. Wearing gloves is also advisable as your fingernails and skin will also turn yellow. Moreover, make sure you also protect the furniture from staining. Apart from turmeric, you will also need a small bowl, flour, turmeric, almond oil, and regular milk, a teaspoon and a tablespoon. Mix 1 teaspoon of turmeric with 2 tablespoons of flour in the bowl. Then, add a tablespoon of almond oil and just enough milk to make a paste that is neither too liquid nor thick, about 3-4 tablespoons. Blend these four ingredients and your excellent mask is ready! Among other things, this mask is also used for removing facial hair, so when applying it, be cautious of your eyebrows and hairline. Also, don’t go near the eyelashes, but apply it freely under your eyes. Leave the mask on the face for about 20 minutes. Then, rinse it off with lukewarm water and pat- dry your face. Do not worry if your skin is a bit yellowish after you remove the mask. Simply wash your face once again or use a gentle face cleanser and finish with a light face lotion. The treatment should be repeated at least once a week. The results are simply amazing! How to Make a Ginger Press in Minutes – The Strongest Natural Painkiller in The World!